December 12, 2017 - Kane Environmental Awarded 5-Year Contract with UW for Environmental Consulting Services. The services include but are not limited to; stormwater systems, PCB assessment, environmental site assessments, remediation, hazardous waste sampling, asbestos inspections, etc. November 1, 2017 – Kane Environmental, Inc. announces its fifth annual sponsorship of the Maritime Industry Economic Forecast Breakfast, a breakfast that will bring top labor, business, local and federal government, and community leaders together to discuss challenges and opportunities in the Puget Sound region’s maritime industry. 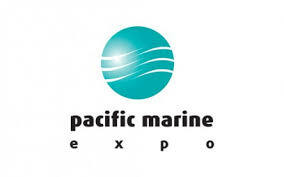 The breakfast occurs Friday, November 17, simultaneously with the 2017 Pacific Marine Expo. The Pacific Marine Expo will be held at CenturyLink Event Center November 16-18, 2017. Featured in the Seattle Daily Journal of Commerce, an article by John Kane about a new software system from BluHaptics that allows operators to see sunken munitions in 3-D and retrieve them with remotely operated vehicles that provide human touch-like feedback. ​Kane Environmental and Kane Remediation Technologies are working with a Fremont-based robotics software company, BluHaptics, to apply its new software system using remotely operated vehicles (ROVs) to identify and remove munitions from the sea floor and to sample remote deep water sediment where human divers cannot go. BluHaptics developed the software that uses data fusion, machine learning and control technology to make ROV operations more efficient. The software works with a wide variety of ROVs, sensors and manipulator arms, which allow for operation in the most challenging conditions, such as high turbidity. ​Click here to read more. Kane listed in "The Top 25 Environmental Services Firms"
Kane Environmental, Inc. once again makes the "Top 25 Environmental Services Firms” published by the Puget Sound Business Journal. Puget Sound Business Journal Book of Lists provides listings of hundreds of the hottest area companies in their fields, by ranking. ​KANE's 2015 revenue per employee demonstrates how productivity, efficiency and quality makes KANE a preferred service provider to clients nationwide. KANE CEO/President, John Kane, attended the Third Edition of the Aerospace & Defense Supplier Summit on April 14 - 15, 2016, at the Washington State Convention Center in Seattle, Washington. Kane was an exhibitor in the Green Aviation Village. Aerospace & Defense Supplier Summit Seattle is a supply chain event that brings together aerospace and defense primes, tier suppliers and contract-manufacturers. Engineering, procurement, supply chain, fabrication, commodity teams, suppliers and service providers will meet through pre-arranged one-on-one meetings. A&DSS Seattle is the venue where requirements meet technologies and capabilities without the distractions found at traditional exhibitions. Rahul Shendure; CEO, Oscilla Power"
Kane Environmental, Inc. is proud to take part in King County's SCS Program. We are pleased to announce the award of our three year contract award with the City of Portland, OR, providing Geotechnical, Sediment, Groundwater & Surface Water Quality services. Kane Environmental Awarded Navy Project! ﻿December 15, 2014 – Kane Environmental, Inc., a full-service environmental consulting firm, has been issued a single 5 Year, $5 Million Environmental Lab Sampling Services IDIQ Contract (N44255-14-R-9012) award by Naval Facilities Engineering Command (NAVFAC) Northwest. We're a Fastest-Growing Private Company in Washington! Kane Environmental has been recognized as the 14th Fastest Growing Private Company in Washington for 2014. The Puget Sound Business Journal published the top 100 companies in their October 10th issue. Thank you for making this possible! We are happy to be able to help solve environmental issues in Washington and nationwide. Let us help you with your next project! Find out more about the services we provide here. KANE Environmental has been listed by the Puget Sound Business Journal as the #24 Largest Environmental Services Firm in the Puget Sound area. The list was based upon revenue in the 2013 fiscal year. KANE ranked 24 out of 25 of the largest firms in the Puget Sound with a total revenue of $3.4 million. Kane Environmental will be at Managing Stormwater in the Northwest, a Business Perspective on Stormwater Regulation & Compliance, on Wednesday, March 5th, in Tacoma, Washington. Now in its seventh year, this focused one-day conference brings together regulated parties, solutions providers, and regulators to provide an exceptional forum for learning, networking, and business development. The educational sessions will cover both basics and advanced topics in the areas of Industrial Stormwater Management, Construction Stormwater Management, Municipal Stormwater Management, and Cross-Cutting Issues. Learn strategies for cost-effective compliance. Presented by Northwest Environmental Business Council. Full information here or at www.nebc.org. On November 7, Kane Environmental hosted a luncheon for Seattle area business leaders to provide an explanation of the numerous changes that come with the ASTM E1527-13 Standard. CEO and President John Kane presented on the changes that will most affect businesses and their clients. Topics of discussion included the updated definition of a Recognized Environmental Concern and the new regulatory review requirement. May 30, 2013 – Join Kane Environmental and other business and civic leaders on June 6, 2013 at the Northwest Environmental Business Council Conference on Re-Using Contaminated Land, Transactions and Technologies. It will be held at the Greater Tacoma Convention & Trade Center in Tacoma, Washington. We are pleased to be a a premium sponsor and exhibitor at the conference. Stop by our booth to learn how we can assist you with your environmental needs. May 28, 2013 – Kane Environmental, Inc. announces its sponsorship of The Promise of the Arctic, a policy-driven conference that seeks to explore the opportunities, and challenges, of the harsh Arctic environment. The two-day conference begins on Wednesday, May 29, 2013 at the Bell Harbor Convention Center in Seattle. Kane Environmental is proud to be a sponsor of Music is My Life. The art exhibit consists of drawings and stories by 129 homeless young people, aged 15-25. The show takes place May – August 2013 at Molly’s Café at the Henry Art Gallery at the University of Washington.